A curved display with amazing high resolution graphics and wrinkle-free finish. Lightweight and quick & easy to set up. 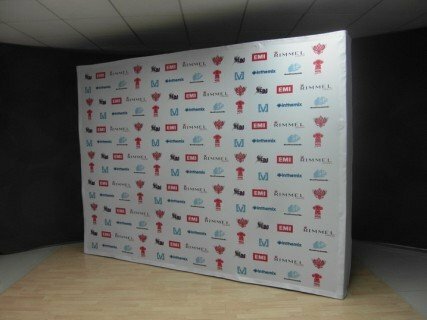 Our media walls provide the perfect backdrop for interviews, photo shoots, special events and other occasions which require your brand to stand out! 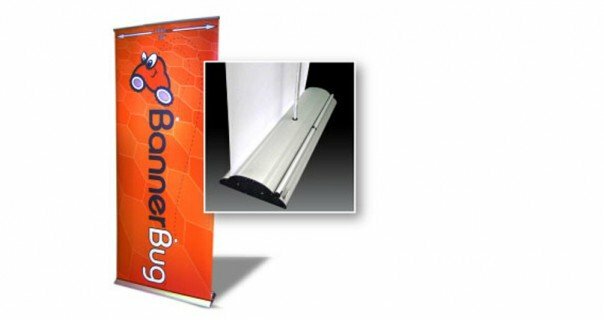 The Banner Bug is a high quality single or double-sided pull up banner stand with premium quality carry case. Range of widths and heights available. Don’t be put off by their size! No matter which of our media walls you have selected, it should take one person no more than 10 minutes to completely put it together or pack it up. 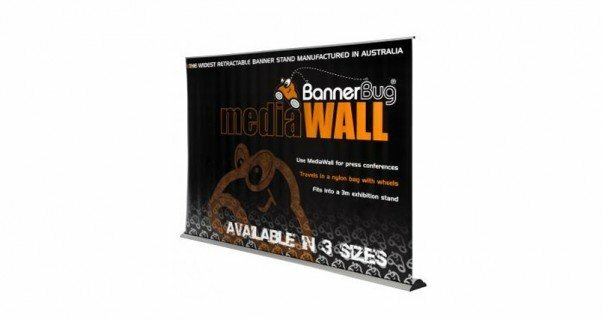 Some (such as our Express Fabric option) can be set up in as little as 2 minutes because the graphic remains attached to the frame. 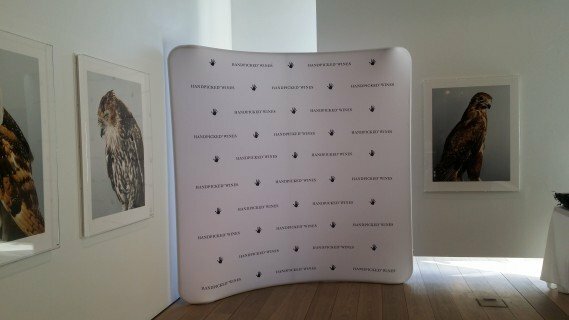 Our custom media walls are available in varying sizes to ensure that the needs of your event are met with ease. Choose between curved and straight frames (please note that curved are only available with certain products and in certain sizes). Custom sizes are also available. Unlike All of the graphics offered with our media walls in Sydney are digitally printed using the latest technology and highest quality materials on the market, ensuring that you receive a superior product. Colours will be bold and vibrant, images will be photographic quality, and text will be completely legible. Displays Direct also offers a selection of extras and accessories to enhance your use of the wall. These include a hard transit case (which doubles as a counter using our branded conversion kit) and LED spotlights (which can be used to provide illumination or even to focus on specific areas of the wall).